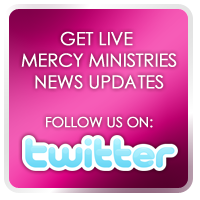 Mercy Ministries News: 20 Years of Service to Mercy Ministries and Still Going Strong!!! 20 Years of Service to Mercy Ministries and Still Going Strong!!! Sharon, you have made a huge impact on Mercy Ministries through the years, and we honor you for your service, dedication and godly example. You are an incredible blessing and a huge asset to our staff. We love you!